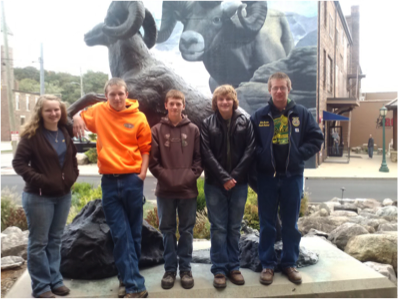 On October 4, 2014, five members of the South Central FFA chapter participated in the Ohio FFA State Forestry contest at Hocking College. Members did activities that included tree identification, chainsaw part identification, timber cruising, and a general knowledge test. The five members that participated in the contest were Zeb Burton, Miles Burton, Gatlin Depore, Katie Ryerson and Marshall Wheeler. The team placed 26th in the state. Congratulations to all of the team members.